The Star Spangled Banner became the official national anthem of the United States in 1931. It was written in 1814 by Francis Scott Key about his experiences in the Battle of Fort McHenry during the War of 1812. The lyrics are sung to the tune of a British drinking song called "To Anacreon in Heaven" composed by John Stafford Smith for the Anacreontic Society, an amateur musician's group from London. The song's four stanzas and one and a half octave range make it a challenge to perform for amateurs and professionals alike. Nevertheless, The Star Spangled Banner has been a staple of military and public events since the 19th century. The earliest recording of The Star Spangled Banner the CPDP has processed is a Columbia Phonograph Co. brown wax cylinder performed by George J. Gaskin sometime between 1896 and 1900. He was born in Belfast Ireland and was known as "The Silver Voiced Irish Tenor." This rendition of the national anthem has many of the familiar nuances we have become accustomed to hearing, in addition to some familiar gaffes. For example, listen to his rushed phrasing after "the rocket's red glare" and his continuous struggle to hit every high note. In spite of these flaws, this recording is an excellent representation of the single-take-warts-and-all spirit of the brown wax cylinder era. The most common performances of The Star Spangled Banner captured on cylinder are instrumental and vocal renditions by various military bands. Edison and Indestructible records had their house military bands perform renditions of this and other patriotic songs; the New York Military Band and the United States Marine Band also recorded their own versions of the song as part of patriotic medleys or on its own. One of the most popular medley versions was an Edison Blue Amberol titled "Patriotic Songs of America" performed by the New York Military Band and The Premier Quartet in 1910. The CPDP has five different takes (two of the original and three of the reissue) of this medley alone! In terms of standalone instrumental performances of the national anthem, the United States Marine Band's 1910 version for Edison Standard Records is phenomenal in its regal spirit and subdued grandiosity. Perhaps the most interesting recording of The Star Spangled Banner the CPDP has is Harry E. Humphrey and the choir boys of St. Ignatius Loyola's "Our National Song" on Edison Blue Amberol from 1916. This version is a didactic recitation about the history of the Star Spangled Banner followed by the St. Ignatius Loyola's choir boys' wide-eyed rendering of the anthem's first stanza. Humphrey posessed a spellbinding oratorial skill and the children choir's provides a compelling coda to his poetic eloquence. Although Preservation Week 2012 is winding down, that's no reason to stop the celebration. Ease into the weekend with this mix which pays tribute to time, the past, and how some things are just too good to let lapse into oblivion. 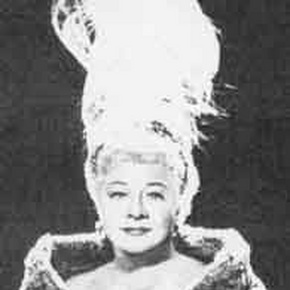 FMA curator, Cylinder Preservation and Digitization Project (CPDP) gives us a taste of vaudevillian debauchery with Sophie Tucker. Early 20th century Canadian folk fiddler, Isidore Soucy, is a highly jig-able offering from Excavated Shellac, also an FMA curator. Lock up your gun before you listen to western swing pioneer, Spade Cooley, from Bloodshot Records' Bloodshot Revival Series. Giraffe rocks out the fleeting nature of existence. Roger McGuinn updates a traditional folk song as part of his Folk Den Project. Vermillion Sands gives a "country-tinged fuzz pop" nod to the cold figure of history. Big Blood honors the weary archivist with dream-like precision. Experimental one-man band, Newage Hillbilly, says it plainly and psychedelically. R. Stevie Moore gives us the unbridled joy of "Records" (both vinyl and administrative). The Paperhead waxes nostalgic and Romanian synth and drum quartet, Karpov Not Kasparov, compose the sonic equivalent of an hourglass. Computer artist/programmer, Valentina Vuksic's finds new uses for old technology. Whether in reference to souls or back issues of Punk Planet, Boss Hog, declares that they have "Saved." CPDP generously shares with us an anonymous recording of farm animals from the early 1900s. Free-psych-noise-electro-unclassifiable Oakland-based Kreamy 'Lectric Santa ruminates on dystopia. Oneida's 2006 live performance still resonates powerfully, well into this milennium. Self-taught lo-fi multi-instrumentalist hyphenator, Spencer Owen, pleads with the future. Long-running WFMU show, Antique Phonograph Music Program, shares some vintage avian ventriloquism courtesy of Edward Avis and Howard R. Garis. And Wooden Shjips' "For So Long" is an epic, driving collision of mind-altering sparsity that travels the path of its own stylistic origins.